Salman Khan convicted in 1998 blackbuck poaching case. He has been sentenced to five years in jail. 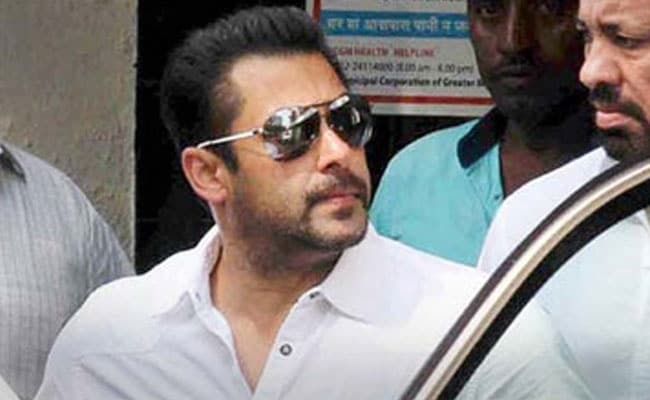 Salman Khan convicted in 20-year-old blackbuck poaching case. A Jodhpur court in Rajasthan pronounced judgment in the 20-year-old blackbuck poaching case in which actors Salman Khan, Saif Ali Khan, Sonali Bendre, Tabu and Neelam were arrested in 1998. While Salman Khan has been found guilty and sentenced to five years in jail, the other actors were acquitted in the case. The blackbuck poaching case dates back to the night of October 2, 1998, when Salman Khan allegedly shot and killed two blackbucks in Mathania village of Jodhpur. Accompanying him were actors Saif Ali Khan, Sonali Bendre, Tabu and Neelam who have been accused of inciting him to poach the animals. The actor has been charged of poaching under the Wildlife Protection Act. While delivering the verdict on Thursday in the blackbuck poaching case, the judge said, "The way the accused killed two innocent black bucks in violation of the wildlife laws...he is a film star, people emulate him... there has been a rise in poaching incidents, so leniency is not justified." October 2: A police complaint was filed against the five actors Salman Khan, Saif Ali Khan, Sonali Bendre, Tabu and Neelam for allegedly killing two blackbucks while they were shooting for the movie Hum Sath Sath Hain in Rajasthan's Jodhpur. August 31: The Rajasthan Court suspended the sentence and ordered the actor to not leave the country without formal permission.Blackbuck poaching case: Verdict against Salman Khan. July 25: The Rajasthan High Court acquitted Salman Khan of all charges in the blackbuck poaching case. The High Court said that there was no evidence to prove that the animals which were found dead were shot by the actor's licensed gun. April 5: A Jodhpur Court delivered verdict in the 1998 blackbuck poaching case against actor Salman Khan. While Salman Khan has been found guilty and sentenced to five years in jail. Actors Saif Ali Khan, Sonali Bendre, Tabu and Neelam have been let off.